Made up of Moulded: PU foam & recron fibre. - Tip - up type auditorium chair. - 12 mm Ply seat and back. We are counted among some of the most trusted manufacturers, and supplier of a Indian domestic market. 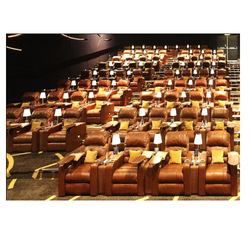 From our inception itself we are engaged in bringing forth an exclusive ambit of Cinema Chair. 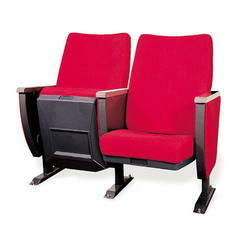 These chairs are in compliance with all the set quality norms of the industry. We manufacture these chairs with extreme precision at our premises. Our clients can avail from us a wide variety of stadium chairs that is durable and is easy for clearing. These are coated with powder to resist corrosion with seven tank process and the thickness of coating is about 60 microns to make the frames weather proof. Customization of these products is done according to the clients' specifications and demands.